Halla! Learn speaking Swedish Online from our Native Tutors through Skype and upgrade your life by increasing opportunities for career, living, travel, friendship, adventure and love. You might be wondering that when everyone in Sweden speaks fluent English what is the point learning the Swedish language. Firstly, not all locals speak English. If you do take the time to learn Swedish, Swedes are generally impressed and most likely you will put a smile on a locals face. And secondly, there is no better way to get a sense of a culture than learning the language of that culture. Sweden does have a very rich culture and a prolific history dating back to ages. Swedish will give you the ability to step inside the minds and cultural context of the Swedes. 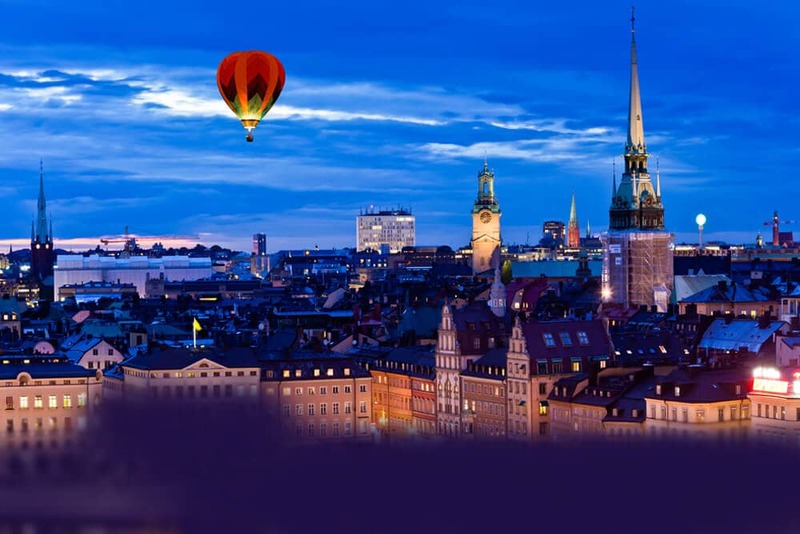 If you are planning to work in Sweden, learning to speak the language will be highly beneficial. Learning Swedish will therefore make it easier for you to find work. Sweden is a wonderful travel destination. There are tons of things to do and see in this wonderful Scandinavian abode. The best way to make the most out of your travel experiences is by learning the language. Also Sweden is known world-wide for its music. So if you love Swedish music, learning the language will help you enjoy the music better. When you learn Swedish, you’ll find that you can understand some Danish and Norwegian, too. That means that knowledge of one allows you to almost understand the other two, allowing you to very quickly acquire three foreign languages for the price of one. Planning to travel to Sweden or want to teach your children Swedish or want to expand your business or impress you Swede beau? Learn Swedish Online from our Native Teachers through Skype anytime anywhere. Swedish is considered to be one of the easiest languages to learn especially for an English speaker because of the similarities in the grammar and sentence structure. Once you get a hold of the grammar rules it is easy to learn the language. There are several ways to start leaning the language. You can join foreign language classes or get some self-help books and CDs. Also Swedish language online courses are another option. Our online language speaking course offers you an easy, efficient and cost effective way to learn Swedish from some of the most experienced native tutors. By joining our course you can enjoy utmost flexibility and lean the language at your own pace through tailor made lessons designed to match tour needs. Join us now and embark on a rewarding journey of Swedish language learning. You can now take Swedish classes one-to-one using Skype with a tutor of your choice. Our Swedish lessons are custom, effective, comfortable, and fun. Pick a tutor NOW! Choose anything specific. Whether it is conversational Swedish classes, business Swedish lessons or just learning how to greet and impress a loved one. We can help you with them all.